Back in April, I shed some light on the Dooney & Bourke phenomenon that has taken Disney enthusiasts by storm. It was at this time that Disney Design Group announced a new collection focusing on the retro icons of the Disneyland Resort. While this was well-received, Walt Disney World fans began to speculate whether or not a similar version would be available for the east coast park goer; this week, an announcement has been made that will bring smiles to many faces. 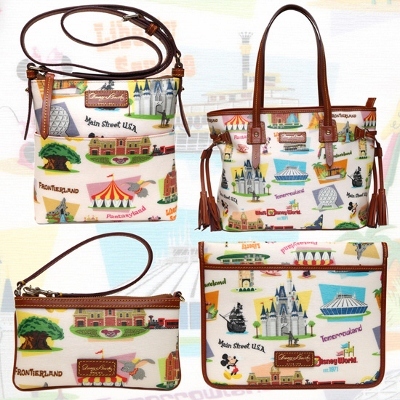 Beginning July 14th, fans will have the opportunity to purchase bags from the new Walt Disney World Retro collection and a new charm series, both of which will make their debuts at Tren-D in Downtown Disney. According to Laura Caszatt, product developer, the collection is sure to gain popularity quickly. “We are releasing a retro print for Walt Disney World Resort and a pattern featuring Disney character charms. The response from guests continues to amaze me, so I’m hopeful people will like these fun, new designs,” Caszatt explained. Like the collection for Disneyland, the Walt Disney World Retro collection will focus on the famed icons fans associated with the parks: Cinderella’s Castle, Space Mountain, Dumbo, Spaceship Earth, Tree of Life, and so forth. The charms collection will focus more so on characters and have either a black or white background. Both collections will be available in a variety of bags including satchels, messengers, totes, and more. Prices range from $85-$285 depending on the style. In celebration of the new bags, a meet and greet event will be held at Tren-D in Downtown Disney on July 14 from 11am to 1pm. Ian Ray, creative director for Dooney & Bourke, and Susan Foy, Disney Design Group artist, will both be on hand to discuss their creations. If you happen to be in the area at the time, this will be a unique opportunity to meet with the creators of the new collection. 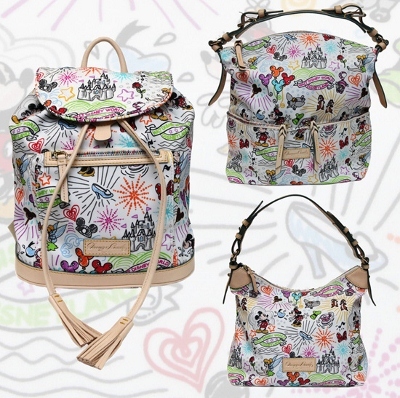 The original Disney Sketch bag that started the phenomenon will also be updated at some point this year. 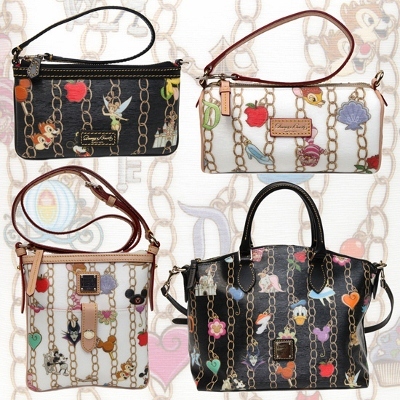 Caszatt said that the new version will be nylon, instead of Dooney’s leather material. Those hoping for a backpack version will take delight in this series. 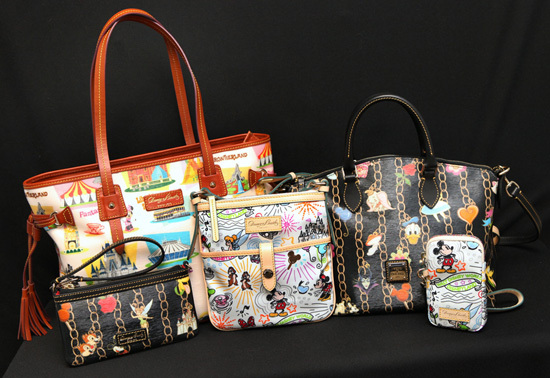 With all of the Dooney releases coming up this summer, fans may find it difficult to decide on which is right for them. One thing is for sure though: there’s plenty to choose from.